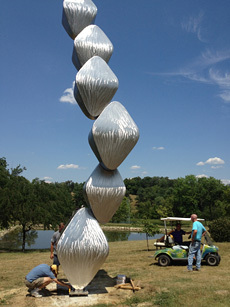 “Skybound,” a 30’ high stainless steel sculpture was installed this month at this 250 acre sculpture park. 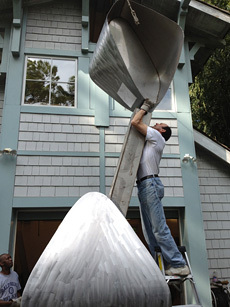 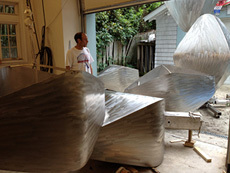 It is sited alongside other notable artwork, including those of modern artists Alexander Liberman and George Sugarman. 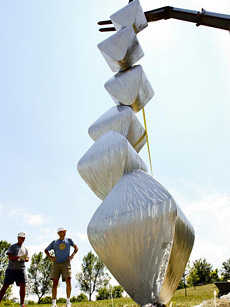 A video, filmed and produced by the artist’s daughter Sabrina Rubenstein, features the transportation and installation of this 2500 lbs artwork. 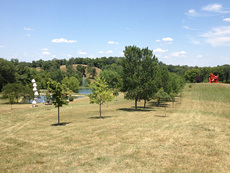 The video can be seen on the Video Page of the website. 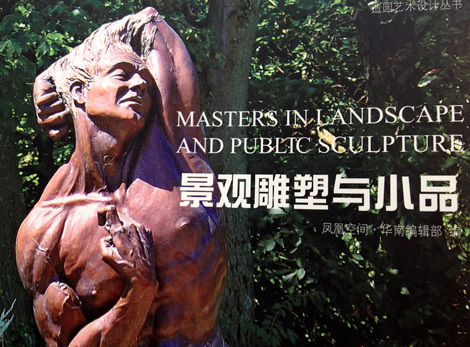 Rubenstein is featured in 11 pages of the book, “Masters in Landscape and Public Sculpture,” which is written in both Chinese and English. 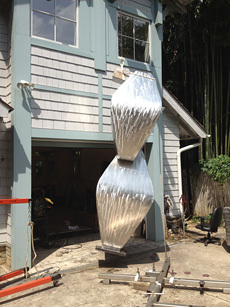 This publication includes 25 public artists from around the world and can be purchased by contacting Rubenstein Studios.